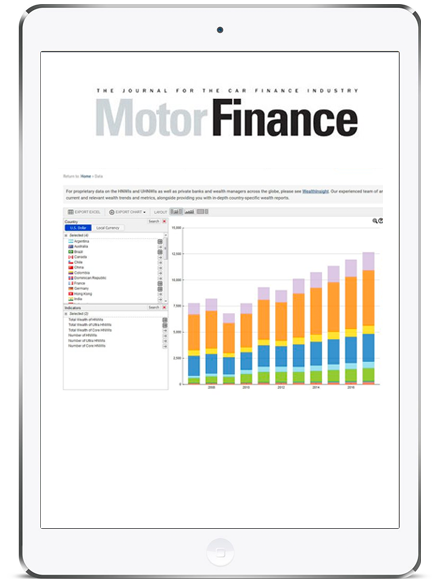 Motor Finance Europe: Munich 2015 brings together captive finance, banks, leasing companies, automotive finance professionals and industry disruptors in an active discussion of the key issues facing the industry. The informative and inspiring keynote sessions and informal conversations provide setting for you to join other high-profile event guests in engaging discussions. Key industry thinkers and doers will meet to debate the importance of new kind of strategies, business practices and partnerships in the industry to meet the challenges of implementing innovative technological solutions. How is regulation driving the change in the industry practices and consumer credit? Big data for auto finance  the latest frontier? Motor Finance Europe: Munich 2015 is an opportunity to share ideas, discover trends and network with peers across the industry. EXTENDED: Register NOW and save 20%! Changes and Cancellation We reserve the right to change event details if necessary, although we will endeavor to keep all changes to a minimum. We will inform you as soon as possible of important changes, for example name or date changes. Force Majeure. We reserve the right to cancel the event by reason of Force Majeure, included but not limited to fire, flood, extreme weather conditions, acts of war or violence, malicious damage, explosion, earthquake, strike, civil disturbances, political unrest, riot, labour dispute, power cuts or any other extraneous variable beyond FNPs control. *3 for 2 offer applies to the standard rate price. Our inaugural Motor Finance Europe events sees us travel to the city of Munich. Not only a beautiful city, but a key hub in the European motor finance arena, with companies such as BMW, Allianz and IVM Automotiv based locally. The venue for the conference and awards is the stunning Kempinski Hotel, situated in the heart of Munich with easy access to the sights. To book your room please use the link below , the best flex room rate at the Kempinski is 350. Alain Broustail started his career in 2001 as Sales Manager for financial software provider Fimasys, proposing retail and wholesale software systems to European banks and car manufacturer financial branches. During his 8 years employment here, Alain helped the business develop and it tripled in size. In 2009, Alain moved into the capital and investment finance market before joining the Sword Group in 2011 to come back to his first love, auto finance. Alain, based in Paris, works as the European Key Account Manager for Sword Apak, and jointly as Director of IT and Consulting Services Operations for Sword Group. Regina Coenen, Director Business Development and Projects, BenchMark Consulting Int. Regina Coenen is the Director Business Development and Projects of BenchMark Consulting, with an extensive international background in the areas of Operations, Collections, IT, Sales, Project management, and HR. 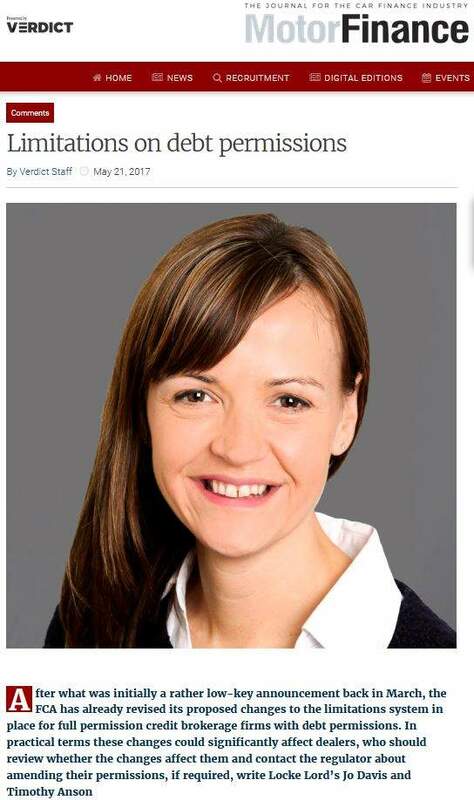 Prior to joining BenchMark Consulting, Regina served as Director Operations and Personnel at Volvo Auto Bank in Germany, following a successful career with Ford Credit in Spain, UK and Germany, prior to which she worked in the German banking sector through her prior employments with a regional savings bank and as Coordinator County Banking Subsidiaries for an agricultural economy bank. Regina holds a University Masters degree in Business Finance and Administration from Humboldt University in Berlin, Germany and is a certified Six Sigma Black Belt. Ian is responsible for the overall sales and business development activity at Five Arrows Outsourcing Solutions (FAOS); since joining FAOS, the business has expanded in both the UK and Europe, with portfolio volumes growing to in excess of 29,000 agreements. The Groups growth strategy is to develop outsourcing solutions to a wide variety of customers in sectors ranging from IT to agriculture. Ian started his career in front line sales in 1994, working with companies such as Lombard North Central and Barclays Corporate Asset Finance before joining FAOS in 2008 as part of their core management team. Ian is a graduate of Plymouth University holding a degree in maritime business and law; his knowledge covers the asset finance, leasing and captives sector. FAOS specialisms include new finance company and captive & Joint Venture market entrants, finance company portfolio run outs, and asset securitisation standby servicer roles. Ian Dewsnap, Director of European Operations, BenchMark Consulting Int. Ian Dewsnap is Director of European Operations for BenchMark Consulting. Prior to joining BenchMark almost 5 years ago, Ian had a successful 30 year career in automotive captive financing including periods as Managing Director in New Zealand and the Philippines as well as head of Mazda Bank for Europe. His primary background skills are in sales, marketing, wholesale and point of sales systems. His more recent projects have included the set up of a leasing company in Saudi Arabia and a major European systems project on wholesale vehicle financing as well as market entry studies and centralization work. Hugh Dickerson is a Senior Industry Head at Google leading the team that works in partnership with the automotive industry’s largest players in developing and delivering successful digital marketing strategies. Hugh’s digital know how is backed up by over 20 years experience in the motor industry, with a track record of experience in sales and marketing in all aspects of the industry. This experience includes senior manufacturer roles in retail, fleet and export sales, network development and marketing. This took place in the UK, Europe, Africa and the Middle East at a local, national and international scale. This is further complimented by time both as a retailer and distributor, including a period running the world’s largest dealer. His previous experience was with a number of global brands including Toyota, Lexus and Peugeot. Prior to joining Bynx, Jefferies was at the helm of commercial affairs for international consultancy experteye, an organisation specialising in benchmarking, business intelligence and performance development for the finance, leasing and fleet sectors. Jefferiess career in the automotive sector spans over 20 years, starting in finance and leasing for a subsidiary of Standard Chartered Bank plc. He then became head of business development for CW Lease/ING Car lease, during which time he experienced the implementation of automotive and leasing software from the client perspective. He has also worked for vehicle leasing division of Abbey National (Santander) and JATO Dynamics as global head of sales. More recently, he was a founder, group sales and marketing director and UK managing director for ROADTODATA AG an international data research organisation. Jonathan Holland is Vice President Business Development for ADESA. ADESA is part of KAR Auction Services, Inc. The KAR group of companies delivers multiple used-car remarketing services including the deployment of Upstream Remarketing solutions to Motor Finance providers. His career spans over 30 years in the Remarketing Industry, during which time he has held a broad range of senior roles, in both the UK & Europe, having worked for both Manheim & Alphabet International (part of the BMW Group). At the start of 2014 he joined ADESA assuming responsibility for business & strategic development in both the UK & Europe. Jo joined Intelligent Environ ments in early 2013, bringing over 20 years of relationship management experience with specialist knowledge of the financial services industry. She leads Intelligent Environments initiatives in the Motor Finance industry. Jo is a highly motivated and experienced business development professional with a track record for developing people into high achievers through leading by example. She has an outstanding track record of building strong client relationships, growing revenues and providing business value. Prior to joining Intelligent Environments, Jo was Head of Collaborative Sales for an enterprise software organisation where she was responsible for managing a team of product specialists and strategic sales account managers. Luc Jansseune was born in Belgium in 1962 Belgium, he has a Master in Electronics Engineering. His automotive career started in 1986 at Siemens Belgium and was later on active for Siemens in Munich and Toulouse. (later Continental) His strength has R&D manager, pre-development and series development of electronics and program management brought him to Continental Corporation in Toulouse where in 2009 he became Head of R&D for virtual key technology and fleet management systems. Since 09/2014 he is General Manager for OTAkeys (a Continental  D’Ieteren JV). Colin Maddocks has worked with Mazda for ten years and is currently European Director of Financial Services. He led the team that managed the successful changes to Mazda’s European auto-financing relationships in 15 countries in the global financial crisis. Since then with the same team Mazda has: 1) built and managed its own wholesale financing in ten European countries, with zero cost of risk, low cost of operations and competitive pricing; 2) launched a fully secure wholesale financing in Russia; 3) launched with very positive dealer feedback a retail finance renewals system and process that uses big data to deliver payment walk triggered hot leads, eliminates most of the data and analysis work, and enables dealers to focus on customer relationship management. In his spare time, Colin is slowly learning German and enjoys hill-walking and good wine. Erhard (Ed) Paulat became Executive Vice President Austria, Germany, Sweden, Switzerland & UK for GMAC in 2013, the auto finance operation falling under the umbrella of GM Financial. In the same year he was named Managing Director and Chairman of the Management Board of GMAC Bank in Germany, which he has been overseeing as Chief Operating Officer for the German speaking markets since 2012. Ed has served as Managing Director for the UK auto finance business since 2006, he additionally assumed responsibility for Sweden in 2010. Working for GMAC since 1992 in various functions including audit and commercial credit, Ed has gained international experience having lived on three different continents (United States, Australia, Germany and the UK) and held regional roles for Europe and Asia. Ed also holds a directorship of Eurofinas (European Federation of Finance House Associations) based in Brussels. Ed holds a degree in banking and finance from Frankfurt School of Finance & Management and Masters Degree in Business Administration from Henley Management College. Alexander Prinssen has been employed since 2011 with Athlon International as Director International Consultancy & Mobility Solutions. Primarily he is responsible for Athlon Consulting activities reducing customer’s Total Cost of Mobility and supporting them with the implementation of sustainable mobility policies. In addition he is responsible for the development of alternative mobility solutions driving customer experience. Prior to this role Alexander was self-employed as consultant supporting companies in performance improvement. He also used to work at General Electric in various management roles of which as commercial director for the Capital Solutions business in the Netherlands. Alexander holds a bachelor degree in Economics and is certified in Six Sigma. Christian Ruben is CEO of Toyota Kreditbank GmbH & Toyota Leasing GmbH and has been serving as Vice President of Toyota Financial Services Europe & Africa Region since 2006. Moreover, since July 2014 Christian is Chairman of the Arbeitskreis der Banken und Leasinggesellschaften der Automobilwirtschaft (AKA), the umbrella organisation of the manufacturer-linked financial service providers in Germany. From 1988, the business graduate worked in various positions in the credit and corporate client business for Deutsche Bank AG in Berlin, before joining DaimlerChrysler Services (debis) AG in 1998. 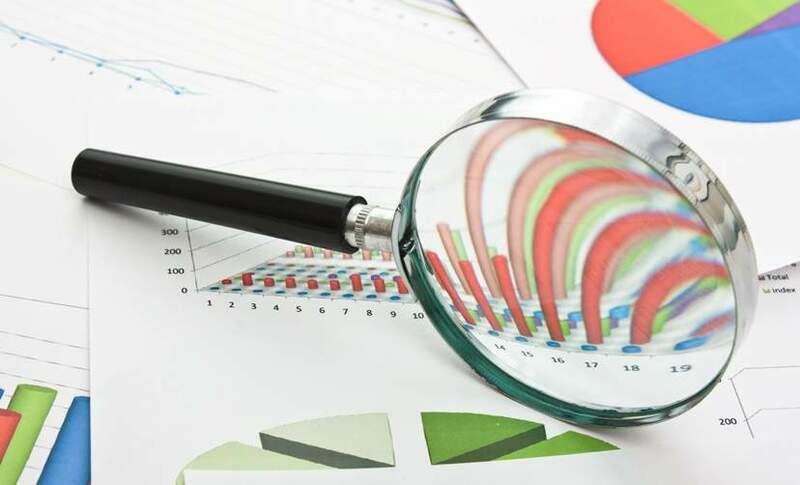 For the auto financial service provider, he held various senior roles in Germany and Singapore before being named Chief Financial Officer for Controlling & Finance in 2003. In 2006, Christian became Managing Director and CFO of Toyota Kreditbank GmbH and Toyota Leasing GmbH and in 2012 was named CEO. Rainer is Executive Director in our Advisory Service practice. He joined EY in 2011. He worked as Executive Vice President in Deutsche Telekom and was the CEO of the leading German traffics management & telematics provider T-Traffic. Prior to this, Rainer has held several industry roles: Director at Daimler AG in charge of the mobility services unit; CTO of the German road charging provider Toll Collect GmbH; and Grundig as a product manager for car stereo, navigation and telematics. Rainer is one of EY’s most experienced professionals specialising in traffic management for nearly 15 years. Mark Smith is Group Managing Director & Founder of The Car Finance Company. Mark Founded The Car Finance Company from a spare bedroom of his Portsmouth home in 2007 and has grown the business to annualized lending in 2014 of £100m and £40m turnover. The company is now employing over 350 staff and achieving the Number 2 spot in 2014 The Sunday Times Fast Track 100. Mark was born in 1969 and lived in The New Forest throughout childhood. He Joined the Royal Navy in 1985 at the age of 16 as a junior mechanic, later transferring to the Royal Navy Police. After 14 years service eventually war pensioned and then spent ten years in specialist consumer finance, working primarily for Advantage Finance (a subsidiary of S&U Plc). Mark’s ambition is to grow the CFC Group to £1bn of annualized funding within the next 5 years. Florian is head of the International consulting group ‘Key Solutions’ at GE Capital Fleet Services. He has extensive expertise in fleet consulting, optimization and restructuring  with a focus on TCO reviews, process optimisation, car policy restructuring and implementation, and follow-up of realised savings. Florian has held a range of positions within GE Capital, including Fleet Consulting Manager for Pan-European customers, Lead Fleet Consultant for GE’s Capital Germany, and Inside Sales Manager. Before joining GE, Florian was General Manager and Founder of an insurance agency working exclusively for ‘Continentale Versicherungs aG’. Florian obtained a Degree as an Insurance Merchant from Allianz. Andy has been director of Alphera Financial Services in the UK since February 2012. 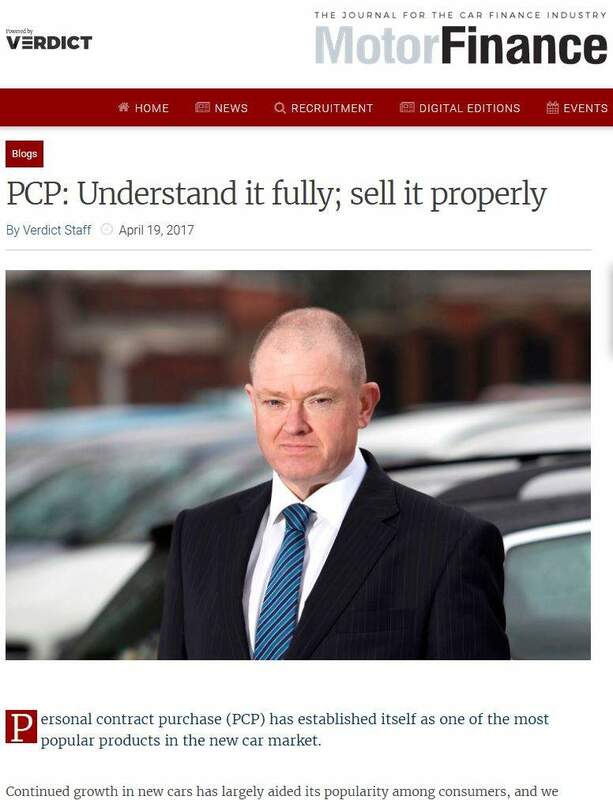 He is responsible for the strategic direction of the business, ensuring it remains ahead of the curve when it comes to delivering innovative and progressive F&I products and services to the franchised and independent dealer market. Prior to joining Alphera, Andy spent 13 years working in various countries on behalf of BMW Group Financial Services. With responsibility for products, sales, marketing, analytics, pricing and new markets, Andy has extensive knowledge of the F&I sector from a worldwide perspective. His roles have seen him travel to Australia, Singapore, China, Thailand, South Korea, South Africa, Japan, the Czech Republic, Poland, Argentina, Finland, the US and the United Arab Emirates; however, the majority of his working life has been spent between BMW’s German office in Munich and the UK office in Hook. Davide serves as EU Fleet Sales Manager for Tesla, he is responsible for establishing Tesla in the European fleet market, and building an outstanding team of passionate people focused on customers and Tesla’s mission to accelerate the world’s movement to sustainable transport. Prior to Tesla, Davide was an International Key Account Manager for the Fiat Chrysler Group, where he was responsible for winning and retaining business with international clients across Europe. 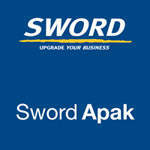 Sword Apaks Wholesale Finance Floorplanning System (WFS) is a proven, highly versatile and scalable automotive finance solution. Specifically developed to standardise, streamline and automate dealer funding operations, WFS can be rolled out into multiple markets on a single global platform. Significantly improving operational efficiency and productivity and providing rich functionality in a single application, it is widely recognised as the preferred solution for major banks and captive finance providers internationally. With over 35 years of extensive experience of developing and implementing dealer funding solutions on a global scale, Sword Apak has the largest worldwide network of professional business and technical expertise in wholesale finance technology. EY is worldwide leader in providing assurance and advisory services to automobile manufacturers and suppliers. Our international teams and single source multidisciplinary services are specialized in tackling the specific challenges faced by companies in the automotive industry. We have offices in 22 locations throughout Germany and in 150 countries across the globe. With our Global Automotive Finance Team we have brought together a network of experts that make up this unique subset of the automotive sector. We address global trends and challenges and deliver specialized industry knowledge and experience to our Automotive Finance clients. The Association of Banks and Leasing Companies of the Automotive Industry (“Arbeitskreis der Banken und Leasinggesellschaften der Automobilwirtschaft” or AKA”) is the umbrella organisation of the eleven manufacturer-linked (captive) financial service providers within the automobile industry in Germany. The AKA acts as a joint platform and helps place the captive financial services in the public eye. Representing a total of 31 automobile brands the AKA members are a major driving force of the key segment “mobility” in the German economy. Member institutions are Banque PSA Finance, BMW Group Financial Services, FGA Bank Germany, Ford Bank, GMAC Bank, Honda Bank, Mercedes-Benz Bank, MKG Bank, RCI Banque, Toyota Financial Services and Volkswagen Financial Services. 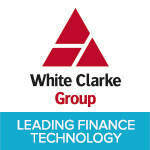 White Clarke Group is a global leader in software solutions and consultancy to the automotive finance sector  Retail, Fleet, Wholesale. It is a worldwide organization employing around 500 professionals, with offices in the UK, USA, Canada, Australia, China, Austria and Germany. The companys CALMS end-to-end platform provides a flexible workflow approach that automates the entire business process from origination through contract to portfolio management. CALMS helps finance companies around the globe to drive down costs, improve efficiencies and boost profits. Clients include names like: FGA Capital, Ford Financial, GM Financial, LeasePlan. Banqsoft provides the View21 product family, offering a broad range of back- and front office solutions for the administration of vehicle finance portfolios including operational and financial leasing, loan, hire purchase, wholesale finance and fleet management. Our aim is to combine cost efficient portfolio management with highly automated handling of the sales and credit process. Banqsoft focuses on offering our customers a solution flexible enough to meet their demand for advanced finance products and at the same time fulfilling the requirements related to changing reporting regulations. Our solution is very well suited to be installed in a cross border environment with its fully open architecture and support of multiple languages and currencies. Five Arrows Outsourcing Solutions is a Business Process Outsourcer, to the Asset Finance and Leasing Sector covering the UK and European and offering portfolio administration services including contract boarding, customer services, arrears management and reporting. We provide a client branded service, holding an Above Average rating from Standard and Poors together with ISO 9001:2008 and BCMS quality standards. A division of the Five Arrows Leasing Group, a wholly owned subsidiary of The Rothschild Group, our business has a proven track record and is able manage opportunities ranging from portfolio run outs to captives and Standby Servicer role. Founded in September 2014, OTA keys is a joint venture between Continental and D’Ieteren. This new company joins the following divisions in charge for car access control; Sekor at Continental and Keyzee at D’Ieteren. OTA keys proposes a car sharing technology fully integrated in smartphone. No keys, no card is required, but just a smartphone to open and start vehicle. This global solution for car sharing business covers the needs from rental companies, car sharing operators, OEMs or any fleet management company. The technology is based on the car access control and start of vehicle by Bluetooth or NFC. We can propose flexible hardware and software solutions depending on your needs. Sofico is an international software provider with over 25 years of experience in the industry. We have a solid reputation in the market due to our extensive know-how. 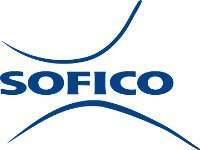 Sofico stands for innovation and technological leadership. Through continuous strategic investment our software solution, Miles, always evolves with the market both in terms of technology and functionality. Sofico employs 170 people across its offices in Belgium, France, UK, Australia and Japan and has customers in 16 countries. Our systems help manage over 1 million vehicles worldwide. It’s not about mobile banking, tablet banking or online banking, financial consumers do not use a single channel preference; they want to interact through any and all digital channels. We develop Interact a Digital Banking platform which enables easy financial transactions and servicing across all digital channels, from apps to browsers, tablets to phablets. For over 15 years we have been at the heart of the digital operations of a number of tier one financial institutions, retailers and telecoms providers, including Lloyds TSB Group, The Home Retail Group and O2. We work closely with our clients to ensure their customers receive an exceptional, optimised and consistent digital banking experience, regardless of the number and type of channels being used. BenchMark Consulting International is a unique and bespoke consultancy service operating globally and in multiple languages to serve their clients within the asset finance industry and with specific focus on motor and truck related business. Now operating for over 27 years, BenchMark has conducted client projects in 40 countries for over 220 clients, working mainly in Europe, the Middle East and the Americas. Consultants carry a minimum of 15 years of hands on experience in senior roles in the operating side of the industry, which combined with our process knowledge database provides us with unparalleled experience and expertise to bring value to client projects. Bynx provides a leading-edge fleet management platform that streamlines business, delivers efficiency and cost savings while allowing vehicle-based businesses to enrich customer service. They can also increase asset value, engage with stakeholders online and better utilise fleets. Bynx customers are typically multinational or global leasing, contract hire, fleet management and rental operators. bynxFLEET enables control of the complete lifecycle of vehicles alongside management of drivers and customer contracts using a single platform. BynxFLEET provides all the tools required to control every aspect of vehicle management, whether the fleet is owned or managed on behalf of a third party. It also allows customers to get their businesses online resulting in further cost savings and customer experience enhancements. GM Financial is the captive finance company and a wholly-owned subsidiary of General Motors Company ("GM") and is headquartered in Fort Worth, Texas. As a global provider of automobile finance solutions, it has operations in the U.S., Canada, Europe, Latin America and China. Through our long-standing relationships with auto dealers, we offer attractive retail loan and lease programmes to meet the unique needs of each customer. We also offer commercial lending products to dealers to help them finance and grow their businesses. In the third quarter of 2014, GM Financial had operations in 18 countries, providing auto finance solutions to approximately 14,000 dealers worldwide and earning assets of $38 billion. Belfast based Northridge Finance is one of the most dynamic challengers in UK motor finance today; rapidly becoming a major name nationwide. As part of Bank of Ireland UK, we have solid foundations and are driven to be the UK’s main challenger finance house. With roots in Northern Ireland dating back to 1956 the Northridge brand began in GB in 1999 and has gained a strong reputation as a dedicated, well established business partner. Northridge offers a unique combination of strength and flexibility. Our strong focus on customer and building mutually beneficial long-term working relationships makes us different. Car Loan 4U provides access to a wide range of UK car finance options to suit customers in a variety of personal circumstances. In addition to helping customers find the finance deal that is right for them, it will also help with the paperwork, complete a full vehicle history and valuation check and even help in finding a good dealer with a recommended network. Car Loan 4U offers a dedicated, one-one-one service so from the moment a customer applies, to the moment they drive away in their vehicle, they’ll do this with the support of the same advisor, their very own "car buying buddy". Car Loan 4U employs over 250 staff from their headquarters in Cheshire. In 2015, it has achieved its fourth consecutive year of 100% growth and within the last year has increased conversion rates by 32%. The inaugural Motor Finance Europe Awards 2015 will take place on 23 April at the Kempinski Hotel in Munich. The awards recognise the achievements of the European motor finance industry in 2014. Companies can nominate in 10 categories including two categories which are awarded to individuals, and these will be awarded by the judging panel without prior nomination. Details of this year’s categories can be found on the tab above. Support your opinions with facts  When judges compare companies on various criteria, a company which can quote data on customer satisfaction will be given precedence over one which claims “market-leading service quality” without evidence. Be concise  Bullet points and short paragraphs supported by a couple of charts or graphs are better than long-winded presentations. As guidance, nominations should be between 500-1000 words long. What makes you unique  In every category, we are looking for companies that stand out from the crowd. When you list the things you do well, don’t forget to emphasise where you feel you are unique among your competitors, or where you do things differently from the rest of the industry. Follow the guidelines  While you are invited to raise any point you feel strengthens your nomination, we recommend clearly and directly addressing each point listed in the category criteria (see the link at the top of the page)  this allows judges to easily compare like with like, and will make sure there are no areas in which your nomination has nothing to say for itself. Keep it current  Remember that in almost all categories, the award title contains the words “of the year”. For maximum impact, please refer to developments made and performance achieved in the last 12 months. While a record of success won’t hurt a nomination, it is the most recent activity that will win awards for nominees. Whilst we recommend you to try to submit against as many of the criteria as possible, we appreciate that for some companies this may not be possible. The more you can respond against the stronger your application will be, but we would like to highlight that submitting against all criteria is not mandatory. Should you require further guidance on this please contact Vicki Greenwood  vicki.greenwood@timetric.com. Good luck in your submissions! Development of the business, e.g. new financial products and growth in volumes in 2014 compared to 2013. Products specifically designed to be appropriate to sub-prime customers. The extent of innovation with the product or service offered. How does the IT service provider add value to its clients? The flexibility of the providers range? 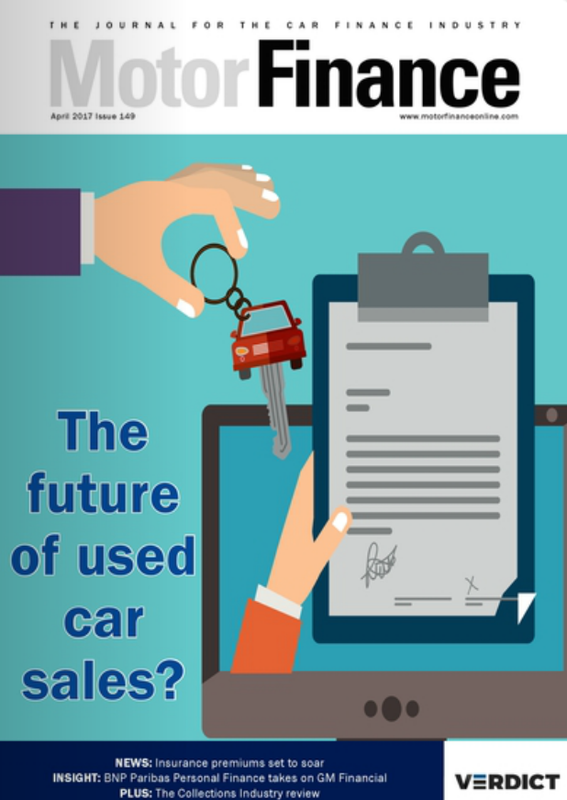 The fast growing motor finance industry has seen a number of new players enter the market, while existing companies have looked to expand their offerings. This award is for the company which has stood out amongst its peers in taking a unique approach to the business, and begun offering something truly different. Motor finance is famously an industry of experienced heads who know their industry like the back of their hands. This can make standing out a difficult task for newer members of the industry, and this award looks to help highlight someone under the age of 35. The winner does not need to have yet risen to a senior job, but will need to be someone who can evidence the positive impact they have had on the motor finance industry. This award will go to an individual who has been instrumental in shaping the motor finance industry during the course of their career  whether that be through influencing regulation, innovating, or supporting the public face of the industry. They will have taken strategic leadership roles within a company or companies, and steered them to greater success, and be a top influencer among their leasing industry peers, even among the wider business community. The following awards are presented to individuals and as such, the winners will be announced at the awards. The winners of the Motor Finance Awards 2015 are listed below. other high-profile event guests in engaging discussions. Interested in speaking at this years event?